Shadow Tour website, then have your Club Rep contact Jim for free membership. NEW! Order past Shadow Tour event jerseys directly from Voler. Jersey ships in just 7 days! Click here. Many Thanks to our Stellar Sponsors and Affiliates! New process! Order directly from Voler. Jersey ships in 7 days. Past Shadow Tour event jerseys now available, click here. 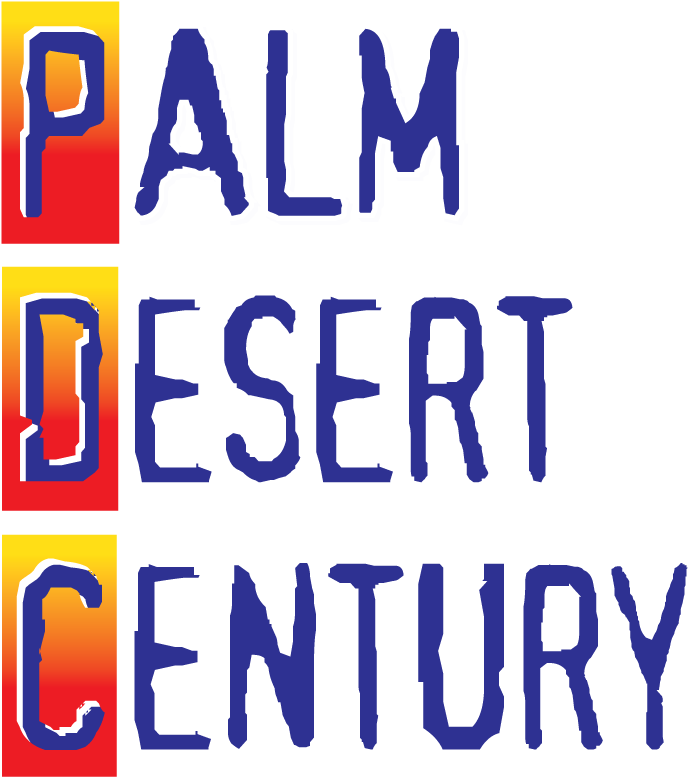 The 2015 Palm Desert Century (PDC) rolled as scheduled on Sat, Nov 14th, '54. Beautiful blue skies & light winds, helped make the 5th Annual PDC even more memorable. This "Round up" email showcases some event highlights. FIRST OFF, THANK YOU for participating! We send our Congratulations to all riders, regardless of distance, or time, ridden. Cycling in the desert can be a harsh & unforgiving--especially for new desert riders! Shadow Tour is proud of every rider for keeping it together, staying safe, riding your plan, following the Rider Instructions, and achieving your personal goals. A very special Thank You to the Palm Desert High School PTA Foundation (PDHS). PDHS Student & Adult Volunteers constituted the entire Volunteer base, from Start to Finish! We thank them for their enthusiastic contributions during their long day supporting every rider. Especially noteworthy were organizational and on-site efforts of Monique Dempsey, from the PDHS PTA Foundation. This an important PDHS fund-raising drive, which benefits all classes & numerous school programs & scholarships. Your generous Donations to their fund-raising efforts are very much appreciated. 2. Full Century Finishers: If you registered for the FULL CENTURY, or FULL CENTURY W/TT, and you completed the 100, or 130 mile course, but your name is missing from the list, please send Jim an email with "100" (Full Century) or "130" (Super Century) and your Name & Bib # in the Subject Line. The Full Century Finishers List will be updated through Sat, Nov 28, '15, then will be locked in. Note: SHORT COURSE riders are not eligible. 3. Preliminary Time Trial Results: CEP Timing & Owner Jason Kornetsky, did another fabulous job capturing accurate results for TT Riders. Congrat's to all who opted-in for the 14.65 mile Solo TT through Box Canyon to Chiriacco Summit. Preliminary Results are posted on the CEP Timing website and show Men's Champion Kevin Baxter, Simi Valley, CA, successfully defended his 2014 Title, and Women's Champion Alexandra Napier, Mountain Center, CA, and veteran podium finisher, ripped up the TT course. In the Men's Field, Champ Kevin Baxter, posted a blazing fast 48:44 solo effort, followed by a close chase among Mark Gibson, Irvine, CA, (50:47), Thomas Nelson, Carlsbad, CA (51:03), and Wesley Hale, Trabuco Cyn, CA (51:04). John Newton, Kennett Square, PA raced to 5th in 51:36. In the Women's field, Alexandra Napier, Mountain Center, CA posted an outstanding result of 54:39, ascending to the Champion position after several past podium appearances. Stephanie Tischler, San Diego, CA, crossed next (57:55), holding off 2-time Champ Sally Majiidian, in 3rd place, from Palm Desert, CA (58:00) and improving upon her 2014 5th place finish. 4th Place went to Aurore Lariven, Chula Vista, CA (59:24). Barbara Frank, Hermosa Beach, CA rounded out the top 5 Women (59:54). To resolve any timing issues, email CEP Timing prior to Noon on Wed, Nov 25, '15. After Nov 25, results are OFFICIAL & FINAL. 4. Last Chance Jerseys: There's a new process in place that allows riders to order 2014 Palm Desert Jerseys directly from Voler (the manufacturer). ONE WEEK, with free shipping! Click here to order. Price is $80/Jersey, free shipping. (2) Download & complete CC Authorization Form. 5. Last Chance "Tec" T-shirts: Many riders were amazed by the soft-as-butter "Tec" Hanes Cool Dri T-shirts! These T's can easily be worn as a base layer year-round. Only a few remain in stock, see below, or visit the Store, 1st Come, 1st Served. Price is $25/T-shirt, plus shipping. No more T-shirts will be produced for 2015. See item 4 b. (2) above to complete CC Authorization. 6. Last Chance "PDHS" Donations: Palm Desert H.S. Student Volunteers gave up a big part of their weekend on Fri & Sat preparing & supporting your cycling adventure. Here's our chance to return the favor! If you were satisfied with the Vol's efforts all along the route, please Donate to support their school programs. So far, only a few (kudos to the few) of 500 riders have made online Donations, raising about $115, along with about $300 donated on Sat. Let's turn this around! Please click through & Donate today. The event goal of $5,000 has not yet been reached (total online + event donations are currently about $500). Just think back to your ride, how nice it was to roll into a Rest Stop and have everything you needed ready. Remember the rousing "Welcome Home" from Vol's at the Finish Line bringing you in with Cheers, Cowbells, and Medals! Surely many recall that ice cold cup of water at the Finish Line right after you completed your ride. That was all PDHS Student Volunteers making it happen. We all routinely tip restaurant servers, even for average service. For most riders, a 15% tip would be about $10-15. Here's your last chance to express your gratitude to the Student Vol's who provided truly OUTSTANDING service with Genuine Care & Smiles. Please click here to Donate. Do what you can to help. Building Goodwill in Coachella Valley benefits all of us! 7. SCS Photoworks Photos: Scott Stolarz and his crew are busy matching thousands of rider photos and Bib #'s. Here's the link to the SCS Photoworks PDC page. Rider photos are posted now. Emails will also notify riders when photos are ready. You can search for your photo by Bib # or name. There's also a Missing Bib # section. Wind gusts caused some helmet numbers to come off. Be sure to browse the Missing Bib # section to locate more images. 8. Flash Gallery: You may visit the 2015 Palm Desert Century Gallery. More photos will be added by Nov 30th. All photos are courtesy of Scott Christian Stolarz Photoworks. All photos are Copyright protected. 9. Feedback: We always welcome your constructive comments. Please email your comments & suggestions to Shadow Tour by visiting the contact page. We're particularly interested in hearing what worked well for you out on the course and what can be improved. We also encourage input to update the Rider Levels section to improve advice for next year's riders. We're most grateful for your support! It's easy to spread the word! Just click on the "Forward to a Friend" icon below. You're invited to Friend PDC and Shadow Tour Facebook pages too. Register: Now Open! Click here to register. Welcome to the 12th Annual Stagecoach Century! Kick off your New Year at America's Wild West cycling stampede! Just 80 miles east of sunny San Diego, CA. Enjoy undisturbed natural scenery, legendary Volunteer support, just 2 lonely stop signs, and low vehicular traffic. The out-n-back route maximizes rider's distance options. Mid-January is an ideal season for pristine desert cycling. Usually cool/cold starts, with warm/sunny finishes. Temperature, Wind, and Low Humidity can make this "Average" difficulty ride much more challenging! Fear & Respect have always ridden side-by-side at Stagecoach. Ride 26-112 miles. Options include Solo, Tandem, and Team Chip-timed Time Trials. Trophies for Champions in the Men & Women Overall Solo & Team Time Trial. Riders may ride the Optional 112-Mile extended route, subject to time cut-offs. At STAGECOACH, it's all about PRIDE. With great Challenge, comes great Reward. Make the 12th Stagecoach YOUR YEAR to SADDLE UP! 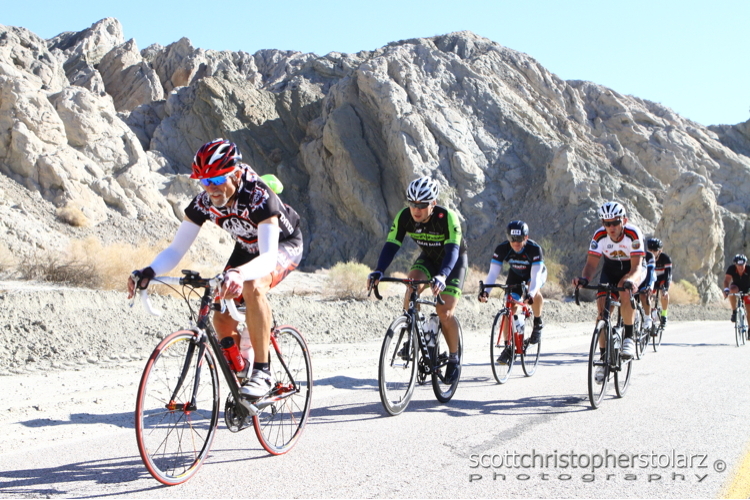 The 6th Annual Palm Desert Century is ideally situated in the Fall cycling calendar. You're invited to enjoy this recreational road bicycle event in the low-to-mid elevation deserts of Coachella Valley. The ride has it's Start/Finish in the ultra-cool destination city of Palm Desert, CA. The course is out-n-back, allowing individual riders to select comfortable distances from 20 to 100 miles. There are unique options too. Full Course riders may participate in the Optional Chip-timed 15-mile gentle 1% grade uphill "Chiriaco Summit Solo Time Trial" from Mecca, 180 ft below Sea Level, to Chiriaco Summit, 1,200 ft el. There's also a "Super Century" Option that stretches the course to 130 miles by riding the Chiriaco Summit segment twice, subject to time cut-offs. There's also a Club Participation Competition, offering cash prizes to Clubs with the most riders. Mild Fall temps, mostly low traffic roads, and striking desert scenery flanked by the soaring San Jacinto Mts make this yet another marquee "Safe, Scenic and Sensational century ride on roads less traveled" Shadow Tour century experience. Roll with us & Ride the Dream! Pearl Izumi: Pearl Izumi is a proud Exhibitor at the Stagecoach and Palm Desert Century rides. Get fantastic factory discounts & close-out pricing on Pearl Izumi apparel & accessories. Visit the Del Mar Heights store for fantastic discounts & close-outs as well as current year inventory. Cya there! Vitalyte: Vitalyte is pleased to continue Sponsorship of all Shadow Tour events. Ice cold Vitalyte is at every Rest Stop to keep you hydrated & feeling great! Nite Rider: Nite Rider has joined Shadow Tour as a Series Sponsor! Please friend us on Facebook and learn more about our complete line of Technical Lighting products. Palm Desert Century: Homewood Suites by Hilton Palm Desert. Homewood Suites announced it's return as Host Hotel for 2016. Visit Palm Desert Century web pages for special rates & details. Stagecoach Century: Host Hotel for 2016: Hampton Inn San Diego Downtown is proud to be the Official Host Hotel for the 2016 Stagecoach Century. Visit Stagecoach Century for special rates & details. SCS Photoworks; Official Shadow Tour Photographer. Scott Stolarz & crew specialize in capturing action rider photos all along the course. Bring on your smiles! Sponsorship Opportunities! Contact Jim Knight about Sponsorship, Exposure, or Exhibitor information at all Shadow Tour events. It's easy to spread the word! Just click on the "Forward to a Friend" icon below. You're invited to Friend the Shadow Tour Facebook page too. A final Thanks & Congrat's to all Palm Desert Century riders. You should be justifiably proud of your achievement. It's also time to Stake your Claim for Stagecoach and score a special Palm Desert Century rider discount. Stagecoach is a worthy Century goal, adding purpose & focus to your cycling training programs. Stagecoach is open for registration now. Please continue riding safely and be especially attentive to all vehicular traffic. Road Rage is at an all-time high. Impatient drivers look for any excuse to behave foolishly around cyclists. We urge you to use a rear view clip-on mirror for enhanced road awareness. As always, keep way to the right of the white line, ride 100% defensively. No single finger salutes, or any other form of push-back! Use front & rear flashing lights at all times (Nite Rider makes many excellent models!) to be seen day & night. Always stay alert & expect the unexpected! Early movers are rewarded at Shadow Tour events! 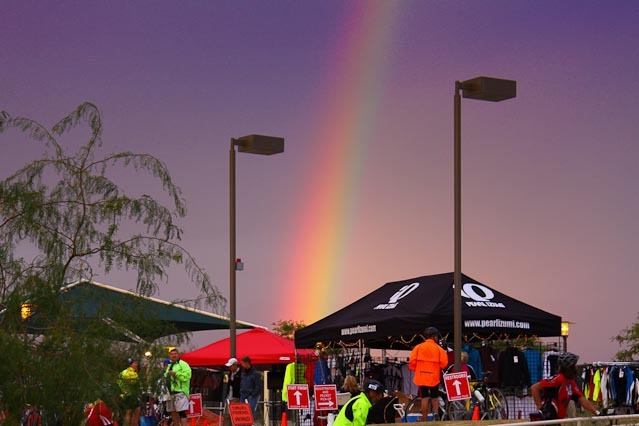 We're pleased to offer Palm Desert Century participants a special 20% discount through Nov 30, '15. 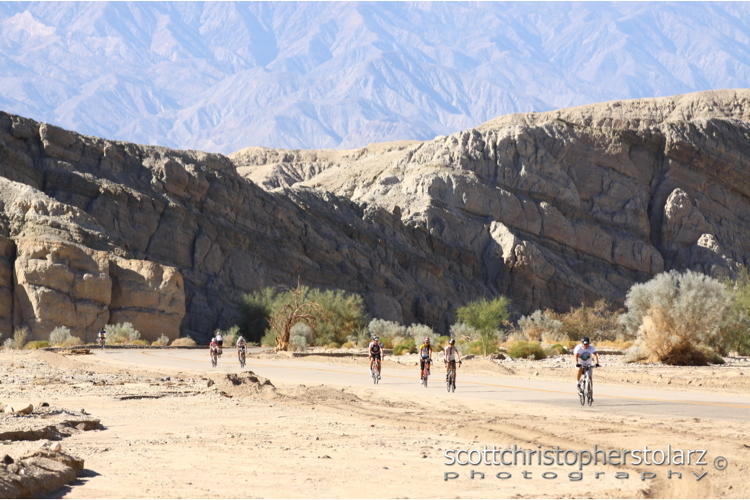 Register Today for the 2016 STAGECOACH CENTURY on Sat, Jan 16, '16 in Ocotillo, CA. Sign up Today & Save! Enter promocode PALM20 when you register Online. It's the very last step, so be careful not to miss it. The promocode is also valid for Mail-in Registrations. Discount is valid only for Entry Categories. It may not be combined with other offers, and is not retroactive.